Cabrera Capital Markets, LLC (“CCM”) has developed a Business Continuity Plan (the “Plan”) describing how we will respond to events that significantly disrupt our business. Since the timing and impact of disasters and disruptions is unpredictable, we will have to be flexible in responding to actual events as they occur. With that in mind, we are providing you with this information on our Plan. 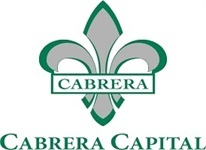 Contacting Us – If after a significant business disruption you cannot contact us as you usually do, you should go to our web site at http://www.cabreracapital.com. If you cannot access us through the web site, you should contact our clearing firm Broadcort at 646-743-0110 for instructions on how it may provide you with access to your funds and securities or otherwise service your account. Our clearing firm(s), backs up our important records in a geographically separate area. Nonetheless, your orders and requests for funds and securities could be delayed in the event of a significant business disruption. Varying Disruptions – Significant business disruptions can vary in their scope, such as only our firm, a single building housing our firm, the business district where our firm is located, the city where we are located, or the whole region. Within each of these areas, the severity of the disruption can also vary from minimal to severe. In a disruption to only our firm or a building housing our firm, we may transfer our operations to a local site when needed. In a disruption affecting our business district, city, or region, we may transfer our operations to a site outside of the affected area. In either situation, we plan to attempt to continue in business, transfer operations to our clearing firm if necessary, and notify you through our web site or through any other means that remain available to us, how you can contact us. If the significant business disruption is so severe that it prevents us from remaining in business, we will assure our customer’s prompt access to their funds and securities.